Note: As of March 31, 2014, workshop has been cancelled due to under-enrollment. Stay tuned for announcements of future workshops and retreats! Join poet Hila Ratzabi on an inspiring eco-poetry retreat in one of the most magical places on Earth: Nosara, Costa Rica. Located on the Pacific Coast, Nosara is known for its stunning beauty, biodiversity, and pristine white sand beaches. In this generative poetry workshop, geared toward all levels of poets from beginner and on, Hila will provide readings and exercises that explore the ways in which poetry arises out of our relationship to the Earth. 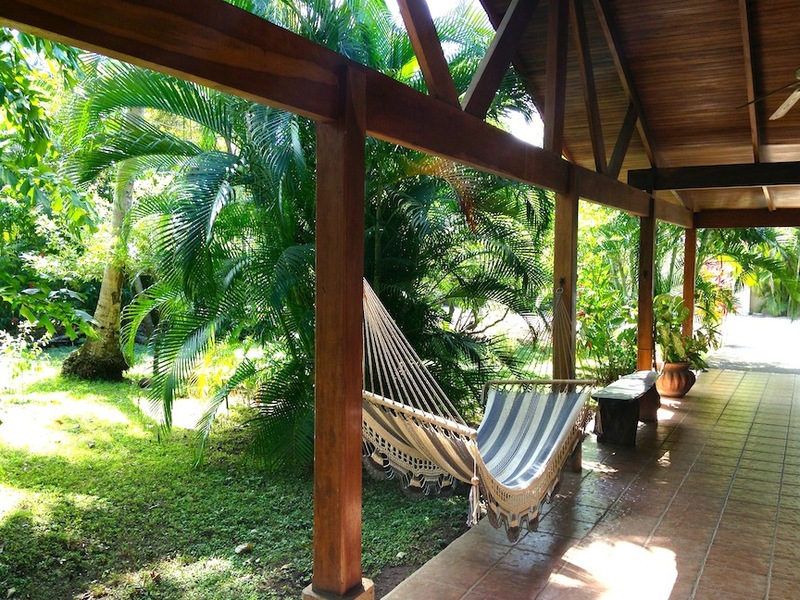 We will relax, enjoy, and explore the local environment with guided jungle and river tours, and optional horseback riding, snorkeling, and more. With fresh eyes and an openness to our surroundings, we will use our experiences in nature to draw out poems. The focus of this workshop will be to generate new work and reinvigorate our writing practice. The environment will serve as our muse as we observe nature’s abundant diversity: coatis, howler monkeys, armadillos, iguanas; winding rivers, towering mountains, lush jungle, and majestic ocean waves. You will leave the retreat with a batch of poem drafts to work on and a fresh commitment to your writing practice. The retreat takes place in a tranquil, secluded set of houses with multiple bedroom options and fresh breakfast prepared by private chef in our kitchen every morning. There will be time for adventure, exploration, reflection, writing, sharing, relaxing on the beach, and even some salsa dancing! 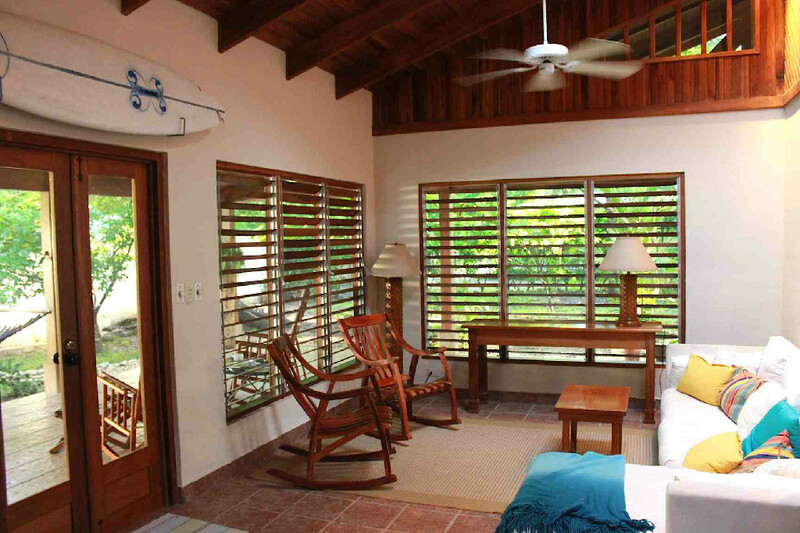 Las Brisas De Nosara is an immaculate two-house compound just a two-minute walk to the beach. 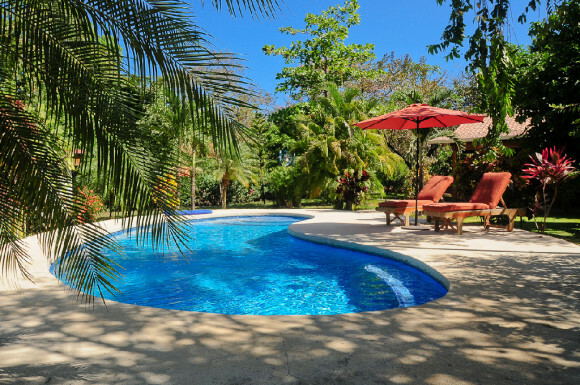 The property is private and spacious, featuring manicured gardens, a pool, an outdoor shower, covered outdoor decks with hammocks and chairs, a fully equipped kitchen, dining room, living room, and multiple bedroom options. There is plenty of indoor and outdoor space to find solitude for writing, and beautiful common areas for workshops and sharing. We are in walking distance to dining, shopping, yoga, massage, and other amenities. View additional photos of the property here. There are three single rooms available, two double rooms, and one triple, with varying degrees of amenities and bed types. All room types are first come first serve. Room details are below and photos can be viewed here. You may indicate on your application your room preference. If you would like to room with a friend, you will be asked to provide their name. We will pair up roommates in consultation with you to make sure you get the perfect roomie! Nosara on the map. Image credit: Villas Costa Rica. 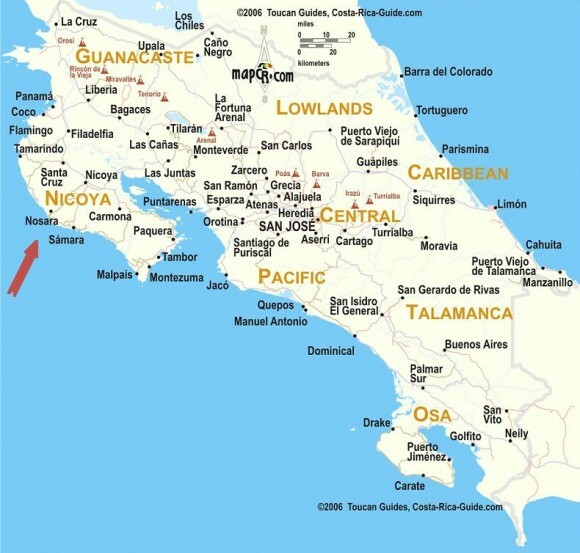 Nosara is located on the Pacific Coast in the Guanacaste province of Costa Rica. It is a two-hour drive from Liberia International Airport. One of the more under-developed areas in Costa Rica, the location is a mecca for surfers and yogis. There is almost no development on the beach because it is a sea turtle breeding area protected under the auspices of the Ostional Wildlife Refuge. 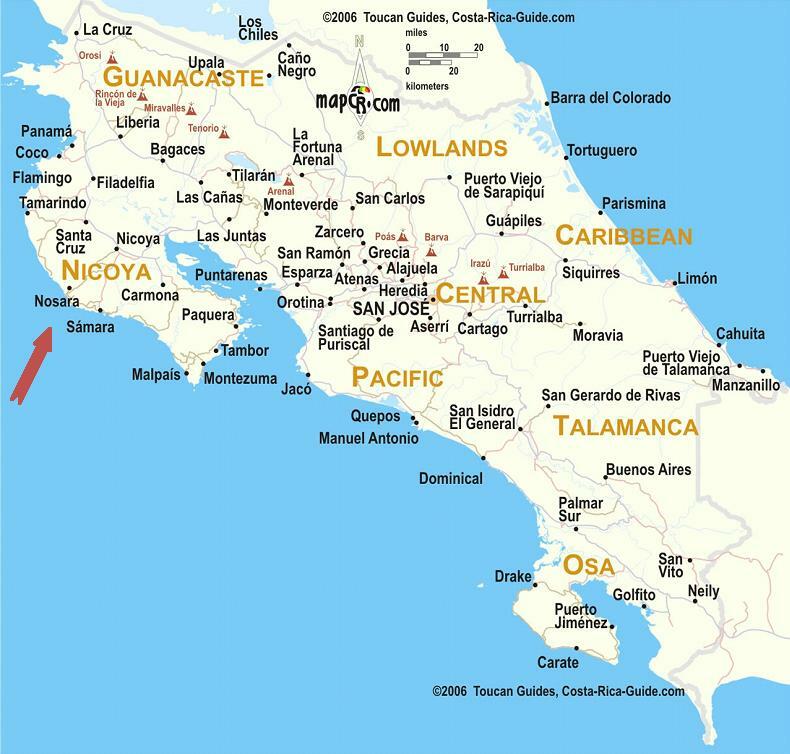 We will be staying near Playa Guiones, one of the four main beaches. Nosara Biological Reserve. Photo credit: Peter Sheik. Ecological preservation is paramount in Nosara, making it the perfect setting for our eco-poetry retreat. The wilderness spans water, jungle, and mountains. An eclectic variety of animals includes howler monkeys, iguanas, sea turtles, whales, and 270 species of birds. Discover glorious waves on the beach, tranquil tide pools, salt water marshes, and ancient mangroves. Though prices for flights are not included in the retreat fee, our travel expert Maya Northen of Chimera Travel is available to help you find the best flights. 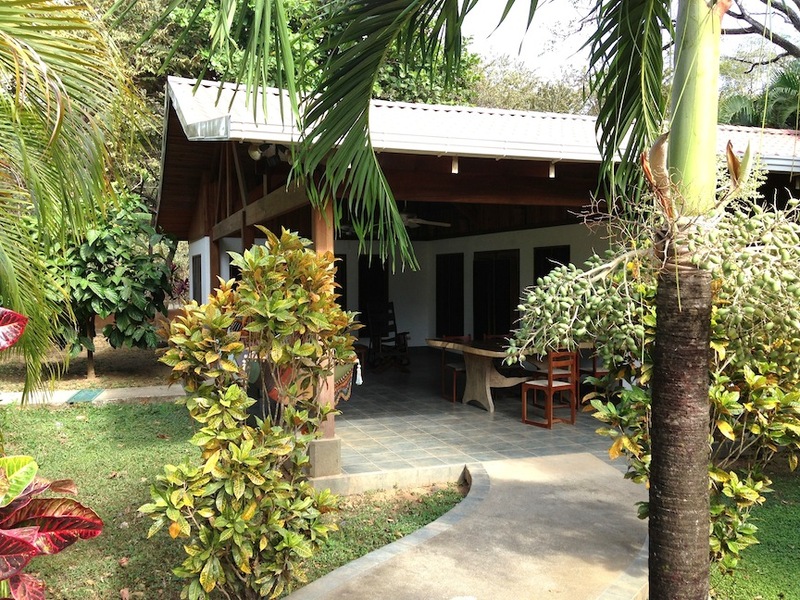 Round-trip transfers to Nosara are included in the retreat fee. Maya will be joining us on the trip, managing all our transportation and activities so that you have a smooth, safe, and relaxing experience. She is available to answer any travel-related questions you may have. You can contact her via email at maya@chimera-travel.com. 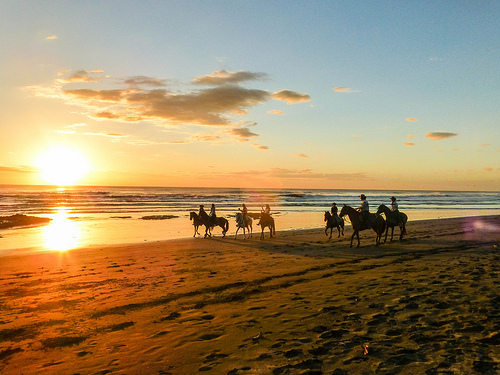 Horseback riding on the beach. Photo credit: froderamone. We require a $500 non-refundable deposit to hold your space. The $500 will be applied toward the workshop fee. Payment is accepted by money order or bank check, credit card, or Dwolla. Final payment is due no later than 30 days prior to workshop. The retreat is subject to a minimum of five students and a maximum of ten. In the unlikely event that the retreat is cancelled for any reason, we will refund your full deposit and final payment if it has been made. In no case are we responsible for any fees incurred by the airlines; therefore, we strongly recommend that you purchase trip insurance. We also recommend that you hold off buying your airline ticket until you get confirmation that the workshop will be filled. A $25 non-refundable application fee is required. You will be asked to pay the remaining $475 deposit to secure your spot after registration is confirmed. Welcome! 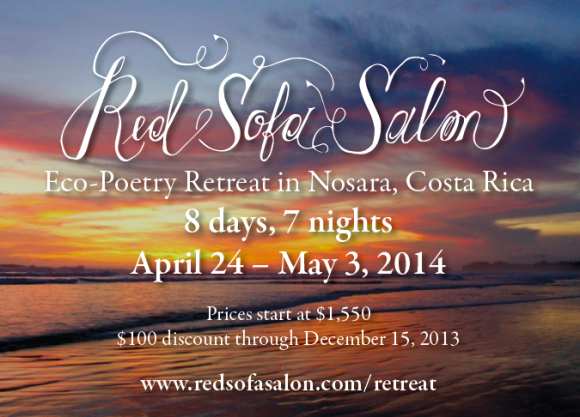 Thank you for interest in the Red Sofa Eco-Poetry Retreat in Nosara, Costa Rica. The retreat will take place April 26–May 3rd, 2014. Please fill out this web form to register. There is a $25 non-refundable application fee. Once accepted to the retreat, a $475 non-refundable deposit will be required to guarantee your spot. We will attempt to get you your first choice room, but rooms will be allotted on a first-come first-served basis. If you have any questions about the retreat please email workshop leader Hila Ratzabi at redsofasalon@gmail.com. 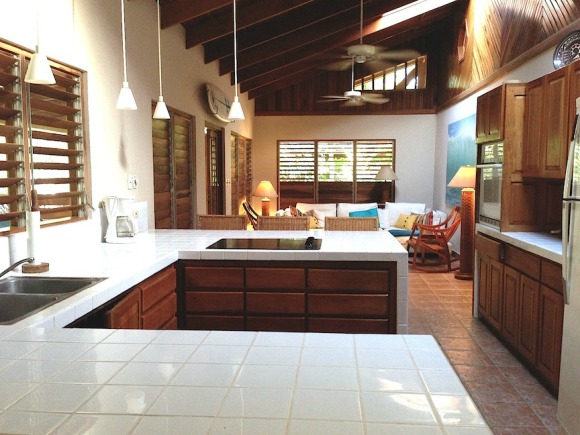 We look forward to seeing you in Nosara! Roommate Request If you’d like to room with a friend, please enter their name here. If not, we will help coordinate roommates and will do our best to pair people well.